This model features the unique USB to USB copy function. The Full HD LED TV market in India is getting increasingly competitive and brands are managing to include the latest features at a price point that was unimaginable in previous years. 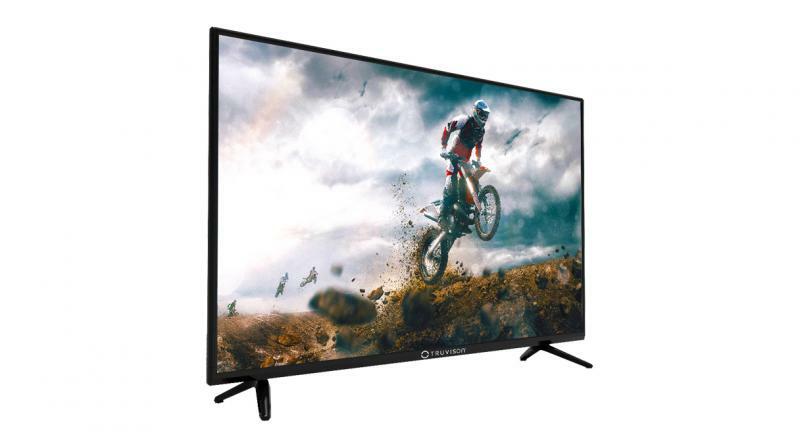 Truvison is one such brand and they are becoming increasingly popular on our shores for launching televisions that priced attractively. The brand has recently announced its latest LED TV, the TW3261 and it too comes with a Full HD display and is priced at Rs 11,990. The TW3261 HDTV features narrow bezels which add to its aesthetic appeal. With 1080 pixel resolution, and a dynamic contrast ratio of 300000:1, Truvison says that one can experience the brightest and darkest efficiency with its picture enhancement function. The TV is designed with the revolutionary Cornea Technology, which helps in reducing eye strain and it also helps in adjusting the screen to ideal colour aspects. The 32-inch TV comes equipped with Clear Voice-2 Technology that evenly distributes the HD sound around every corner where it is placed. The TV also has 2 x USB ports, along with USB to USB copy function, to allow you to stream movies and music from your pen drive or HDD conveniently.